Summary: George discovers the patience & work required for saving up for a special red train that he spies in a toy store. Finally, he has enough to purchase the train himself, but a characteristic diversion leads to George losing his piggy bank. What follows is a lesson in anonymous acts of kindness & meaningful generosity. 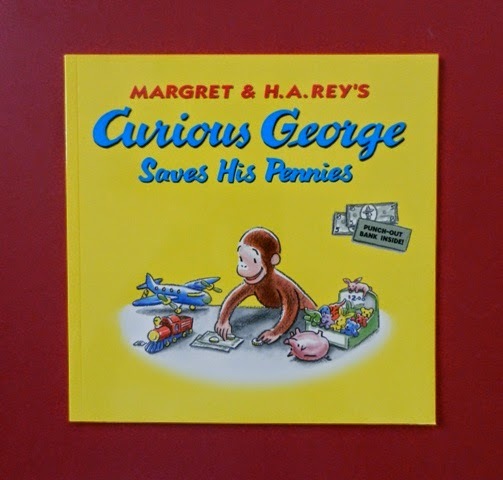 Hanna’s Comments: When previewing, make sure you read this new book in the Curious George series all the way to the surprising end. The positive messages of patience, earning, hard work, stewardship, and generosity are many & affirm building meaningful community as well.